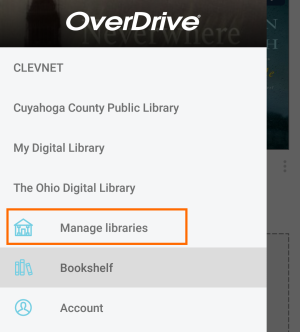 In the OverDrive app, select the icon in the top-left corner to open the Home menu. 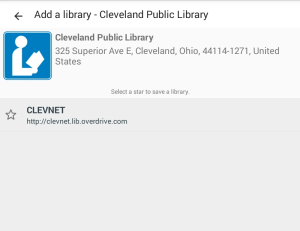 Select the to search for your library. 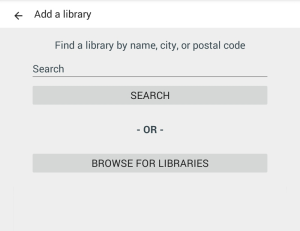 Enter your library's name, city, or postal code in the search box, then select Search. Select your library, then select the to save its OverDrive collection to your library list. 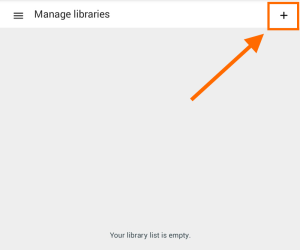 From here, you can also tap the library's name to start browsing right away.